Memorial Day is the unofficial start of Summer here in the U.S. but the unofficial Summer Movie season kicks off around Valentine’s Day nowadays. The blockbusters have been unspooling at local multiplexes for months now but June, July and August are when the blockiest of blockbusters are unleashed upon us. This week on the podcast J.D. and El Kaiser geek out over some highly anticipated films and of course they run down all the latest tech news with their unique brand of silliness and attitude. Slather on the suntan lotion, pop in those earbuds and have a little Summer fun with PTJ this holiday weekend. It’s not global warming, but the traditional action-movie season felt like it began to heat up way early this year with those DC Comics stalwarts in Batman v. Superman: Dawn of Justice blasting into theaters on March 25. Of course, the arguments about that film’s merits (or lack thereof) were still going on when the next big comic-book flick opened earlier this month: Captain America: Civil War. 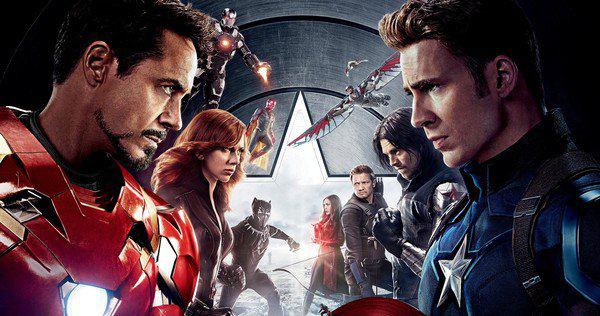 Marvel’s Avengers reunited on May 6th and while Civil War got better reviews (and more love from the fandom), it had less than a month to bask at the top of the box office before The Angry Birds Movie took the top spot this past weekend. So, here we are on the edge of Memorial Day Weekend 2016, the traditional start of the summer science-fiction, superhero, bang-bang-blow-’em-up season of cinema. If you want to create your nerd-flick reminders now, here are some of the films headed to theaters over the next few months. 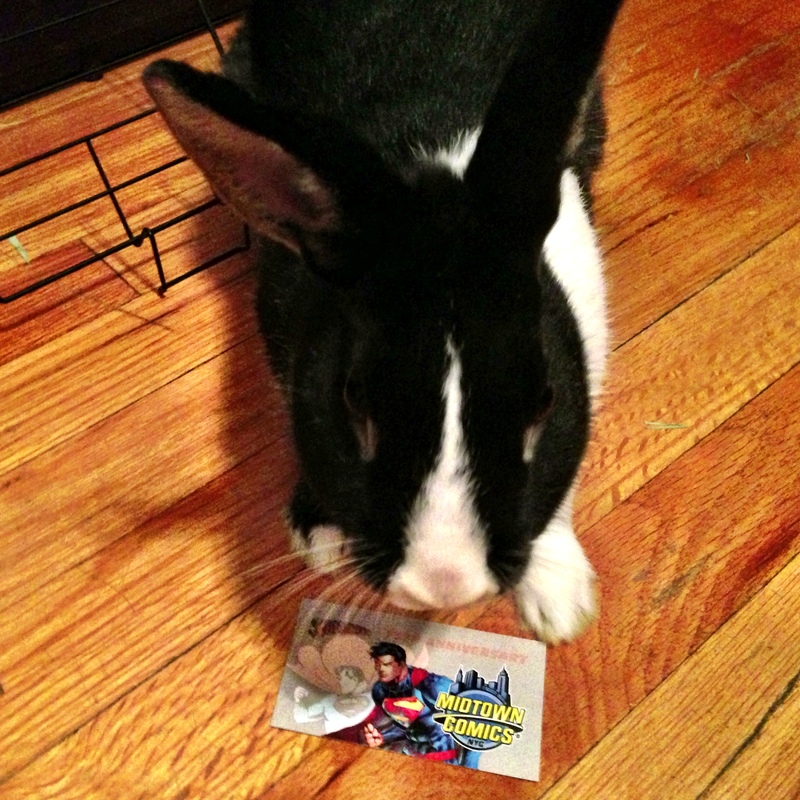 This weekend: Marvel strikes again. • X-Men: Apocalypse. This ninth chapter in the overall X-Men film series is already open overseas, and has already gotten mixed reviews. The plot concerns with the ancient mutant Apocalypse waking up and deciding to take over the world. 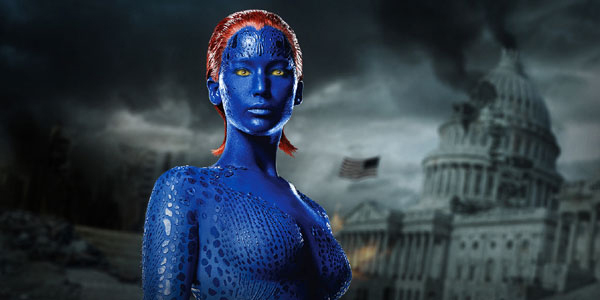 Familiar mutants played by Jennifer Lawrence, James McAvoy, Michael Fassbender and the usual crew join the fray. • Alice Through the Looking Glass. This surreal adaptation of the Lewis Carroll classic also opens May 27th and stars Johnny Depp, Helena Bonham Carter, Mia Wasikowska, Anne Hathaway, Sascha Baron Cohen and the voice of the late Alan Rickman. • Warcraft. Angry Birds can’t have the video-game-as-a-movie market to itself this summer. The film version of the World of Warcraft MMORPG arrives June 10th. • Finding Dory. It wouldn’t be summer without a Pixar offering. 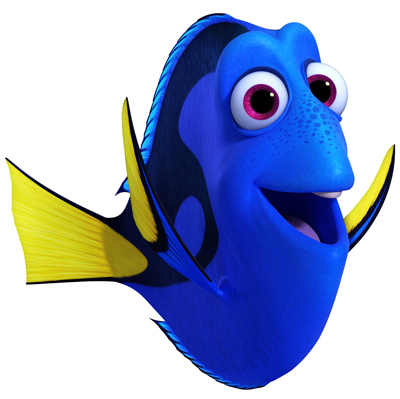 This animated sequel to the 2003 hit Finding Nemo opens June 17th. • Independence Day: Resurgence. Will Smith gave this one a miss perhaps to go do Suicide Squad, but Jeff Goldblum, Bill Pullman and Judd Hirsch are back in a sequel to the original 1996 Independence Day film about aliens invading the Earth. In this sequel, the aliens try again. The film has a separate promotional site at Warof1996.com to get you up to speed if you forgot what happened 20 years ago — or, you know, you weren’t born yet. • Ghostbusters. The 1984 hit gets a 21st century reboot courtesy ofKristen Wiig, Kate McKinnon, Melissa McCarthy and Leslie Jones all donning the familiar brown jumpsuits. Dan Ackroyd, one of the original crew, was an executive producer this time around. The film opens on July 15th. • Star Trek Beyond. This third film in the modern-era film series stars Chris Pine, Zachary Quinto, Zoe Saldana and the gang — and also brings along British actor Idris Elba as the villain. Simon Pegg pulls double-duty playing the part of Chief Engineer Montgomery Scott and co-writing the script. The movie arrives July 22nd and adds to the ongoing celebration of the 50th anniversary if the original series debuting on television in September 1966. • Suicide Squad. Batman v. Superman was not the only movie in the DC Comics inventory this year and Guardians of the Galaxy proved you could have a lot of fun with minor characters on your comics universe, especially in a late-summer release when expectations are kind of low anyway. 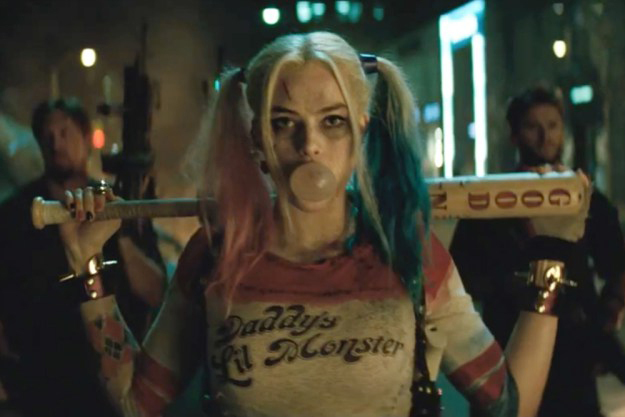 The film follows a team of imprisoned supervillains — Harley Quinn, Deadshot, the Joker, Katana, and others — on mission for a clandestine government agency. Jared Leto plays the Joker, Will Smith is Deadshot and Margot Robbie takes on the part of cosplay idol Harley Quinn. That movie rolls in August 5th. Plenty of other flicks are landing this summer as well, so if you want to get your calendar locked and loaded, check out the iTunes Movie Trailers site or similar one-stop shop for upcoming film previews. And, as we noted last year, it all helps pass the time until this year’s installment in the Star Wars franchise arrives in December. New to Doctor Who and don’t know what a K9 is? Feeling left out of the conversation when you and your Trekker friends get together? Well, don’t despair! J.D. will have you geeking out with the best of them. Also on the show, El Kaiser gives us his thoughts on Samsung’s newest flagship phone, the Galaxy S4 and digs into movie box office numbers. In the news Yahoo buys Tumblr and starts handing out storage by the terabyte over at Flicker; Microsoft unveils their new gaming console and hopes it will be The One that rules them all; and more proof that Science rocks and it rocks the hardest! When it comes to the film-release calendar these days, summer doesn’t unofficially start with Memorial Day weekend. It starts the first weekend of May, when the big brawny action pictures begin to land in movie theaters around the world. School’s out — and all those superhero sagas, space operas, fantasy worlds, animated adventures and other fantastic flicks are in. So, what’s coming to your local cinema this summer? While not a complete list of U.S. summer-release dates, the list below (linked to each film’s official Web site) highlights the movies that may be of particular interest to the nerd herd. If you want to process the data visually, the Republic of Geek site has an artfully designed calendar and for one-stop viewing, the Geek Generation site has the trailers all in one place. IMDb’s Trailer Gallery and iTunes Movie Trailers are other sites to trailer-graze. For coming attractions on the go, check out the Flixster app for Android, iOS, Windows Phone, Blackberry and phones with WAP browsers, Apple’s Movie Trailers app for iOS or any of the trailer apps in the Google Play Store designed for Android devices. And not to forget one of the high points in summer-movie history: More than 30 years ago, the Star Wars franchise did its part in making the season an incredibly exciting time to pile into the car go see movies with your like-minded pals. 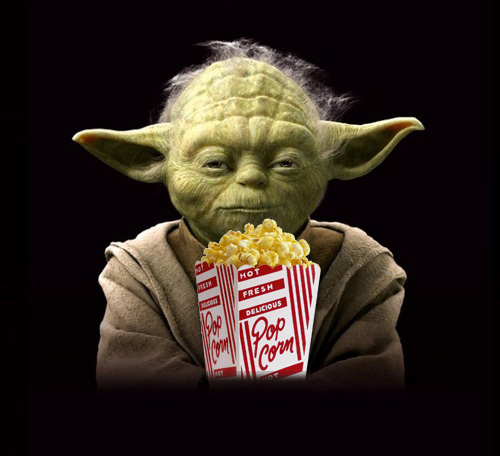 So whether it be mall, multiplex, art house, IMAX, drive-in or wherever you grab your movies, have a great time — and may the Fourth be with you.